Director Luc Besson is a world-builder, and that's never been more evident than in his upcoming comic adaptation Valerian and the City of a Thousand Planets. His heroes traverse the galaxy, encountering fantastic places and things, before landing on the biggest cultural melting pot in history: Alpha. Alpha is the literal construction of thousands of civilisations who, over centuries, have added their pieces to create a massive, massive space city. The film spends a lot of time there, exploring every nook and cranny, but today, you can do just that online. First, on Facebook, where we are presenting this amazing 360-degree image. Using your mouse, you can spin all around this space (click through to see it on Facebook). Or, even better, load it on your phone and just move it around. If you think that's cool, a new website just launched that's even better. 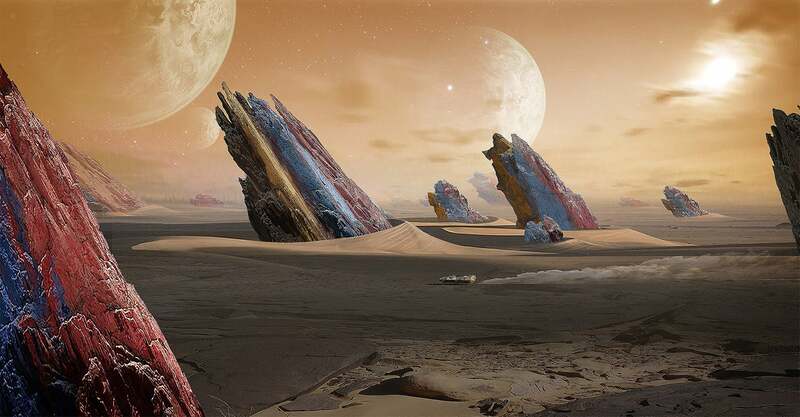 It's The World of Valerian, "an in-depth 360-degree look at the visual development of Valerian and the City of a Thousand Planets from legendary directory Luc Besson". At that link you can explore Alpha, as well as check out a bunch of great concept art that illustrates the amazing design feats in the film. Here are just a few of those pieces, starting with Kirian, a beautiful desert planet where one of the most spectacular action scenes you'll ever see takes place. Here's a wide shot of Alpha, the titular City of a Thousand Planets. Most of the movie takes place here and its construction is detailed in a breathtaking opening sequence that spans centuries of space exploration. This is Mul. It's the home of a very elegant race of beings who control some of the secrets of the universe. Its fate and legacy are a huge part of what Valerian is about. And now, a few of the beings in the film. 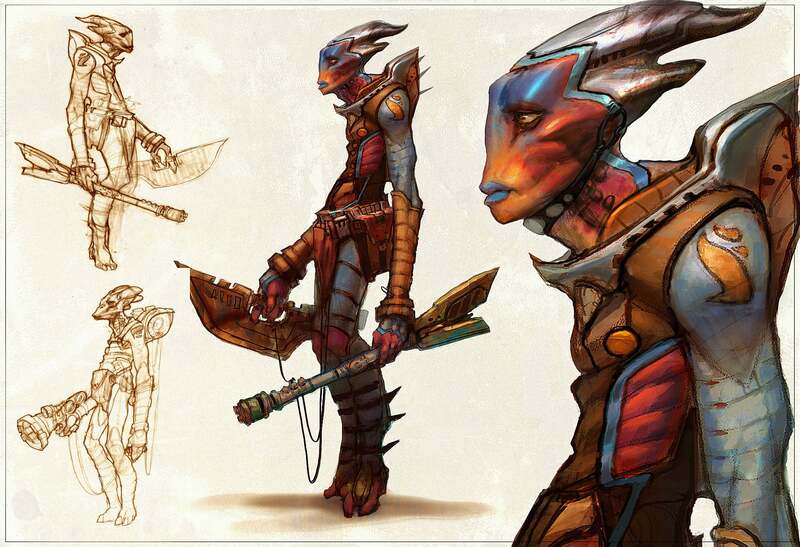 This is a Kortan Dahuk, one of the many races who contributes to the creation of Alpha. Finally, here is one of the Pearls. 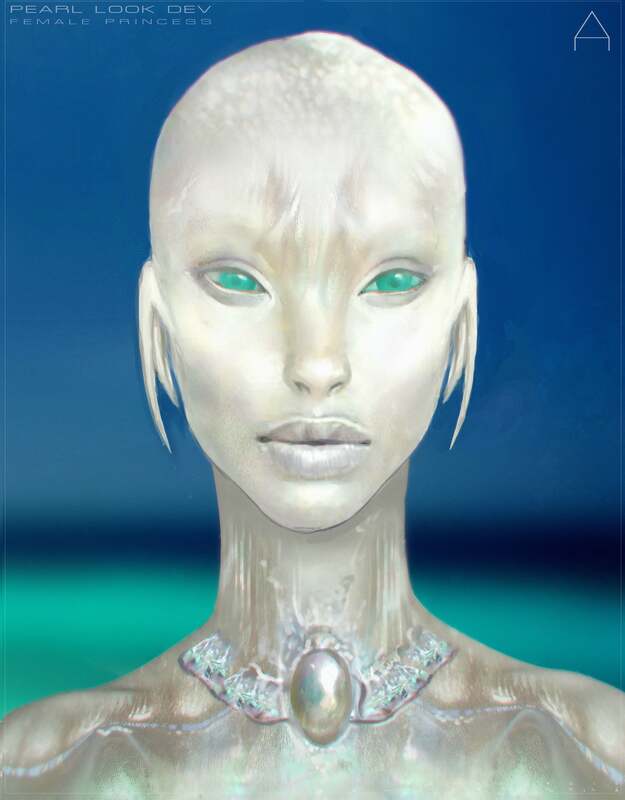 They are the race of people who live on Mul and are crucial to the survival of the galaxy. All of this comes into light not just on the World of Valerian website, but when Valerian hits UK theatres on August 4.